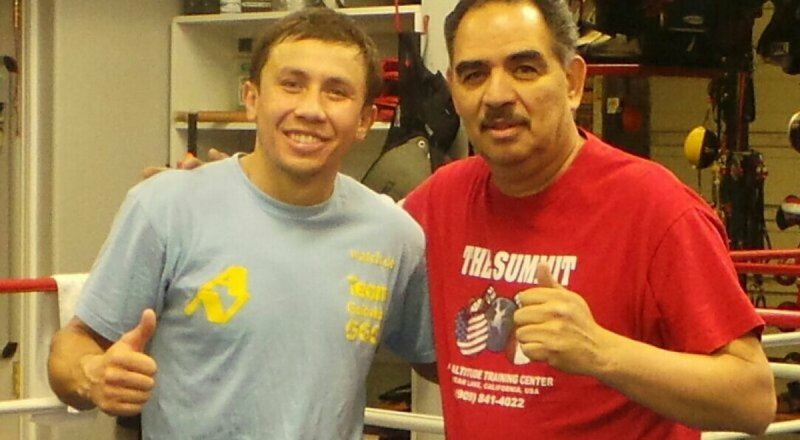 In the wake of middleweight champion Gennady Golovkin’s two round destruction of Vanes Martirosyan at the StubHub Center in Carson, California on Saturday night, the Kazakh bomber’s trainer Abel Sanchez has spoken out about what makes his boxer great – and it’s more than just skills. In his previous fight Golovkin was held to a debatable draw by Saul “Canelo” Alvarez. In that fight last September the Mexican superstar kept the fight at a distance, moving and counter-punching but rarely setting his feet to trade. It was a smart game-plan from Alvarez, although it drew criticism from some quarters with fans of Golovkin anticipating another highlight-reel KO. “There is a fan for both, for the fighter it all depends on what type of response from fans you are looking for and what kind of legacy you want to leave,” said Sanchez. Indeed, Golovkin was supposed to be involved in a legacy fight this past Saturday night until original opponent Alvarez was forced to withdraw from their rematch after twice testing positive to the banned substance clenbuterol in drug tests conducted in February. Enter Vanes Martirosyan, an inactive career junior middleweight with a record of 3-3 in his past six bouts. The aggressive Armenian-American promised to bring the fight to Golovkin and to his credit, that’s what his did, even if it was what many would consider an accelerated form of suicide. “All the greats in any era had the Davey “Boy” Greene (stopped by Ray Leonard in 1980), Andy Price (stopped by Leonard in 1979), Bruce Finch (stopped by SRL in 1982) on their resumes, it’s impossible to fight elite opponents every time out,” Sanchez reasoned.